How do you manage your cyber risk? Cyber security has never been just an IT issue. It is a major business issue that requires focus and knowledge. Our Cyber Security By Design framework introduces a whole of company approach to managing cyber risk. It provides a framework to map standards, cut costs and increase efficiency by identifying and managing high priority risks and activities. Traditionally, cyber security only becomes a focus to organisations after a cyber attack. This re-active approach is both costly and inefficient – and unfortunately, very common. Cyber Security By Design is a pro-active approach to cyber security, recognising that cyber attacks are a case of when, not if. Organisations that are prepared and have the right systems and technology in place are able to respond quickly, recover and continue business operations much sooner- with less cost. 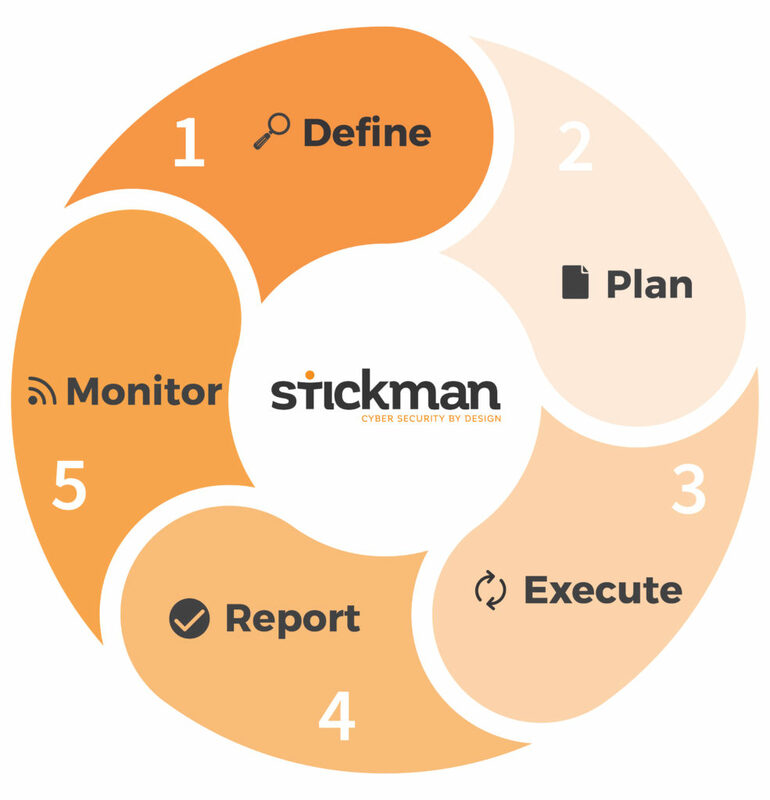 Stickman’s Cyber Security By Design Workshop is the first step in developing a whole of company approach to cyber security. What is Cyber Security By Design? Pros and cons of a standards based approach. Relevance of the framework to your business. The road map implementing the framework. Summary of what you can do next. For more information or to book a Cyber Security By Design Workshop, talk to a consultant today.